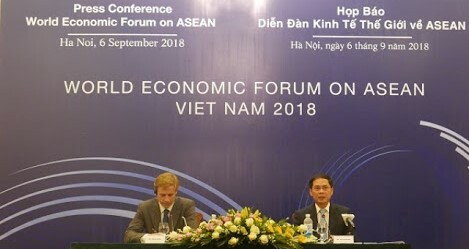 The World Economic Forum (WEF) for the Association of Southeast Asian Nations (ASEAN) began in Hanoi, Vietnam. The 2018 World Economic Forum on ASEAN is in the context of the 4.0 era themed- “ASEAN 4.0:- Entrepreneurship and the Fourth Industrial Revolution. The event is attended by more than 1,000 participants from 43 countries.